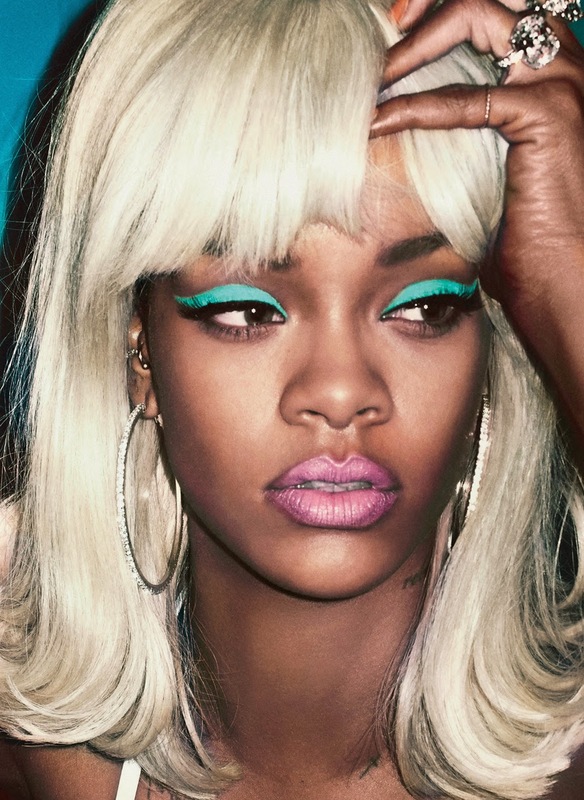 Here is Rihanna’s cover shoot for the summer issue of 'V' magazine. She looks like oldschool Lil Kim before the skin bleaching took over. Very 90s style. 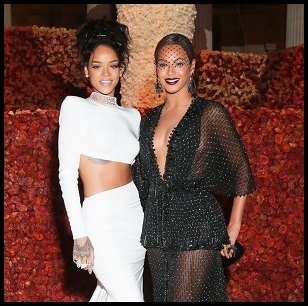 Rihanna looks great serving this vintage look. Her issue of V magazine hits all good newstands on May 7th. 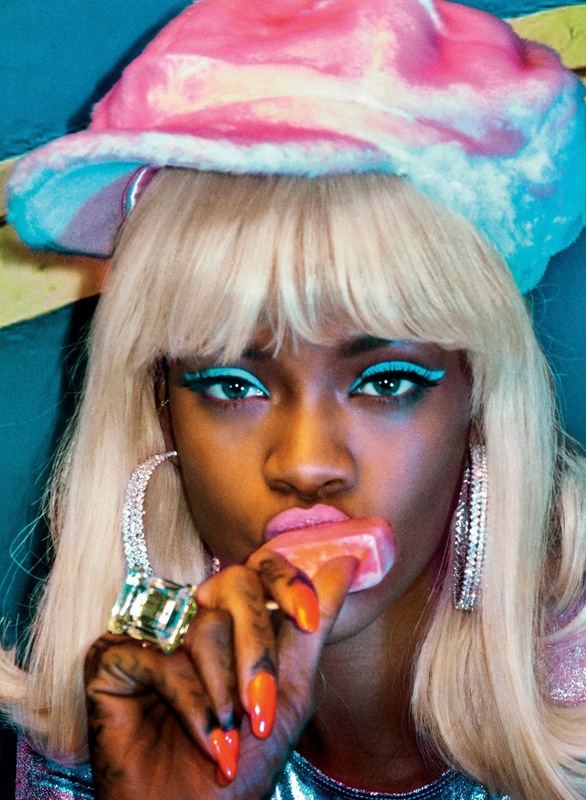 Peep inside for excerpts about her upcoming new album R8, and the entire spread below. "The thing that made me fall in love with [“FourFiveSeconds”] is the juxtaposition of the music and the lyrics. When you read the lyrics it’s a completely different song than what you are hearing. The music is easygoing, but the lyrical content is very loud and in your face. In performing this, the key was to make sure the aggression wasn’t lost." "I didn’t actually take time off. The past two years are the hardest I’ve ever worked. I’ve been working on two albums, an animated film, shooting for multiple magazines, designing for Puma and Stance [socks], a new line of fragrances, a summer tour, I launched my first annual Diamond Ball at the end of last year, and I’ve also been developing several projects to be revealed in the near future."